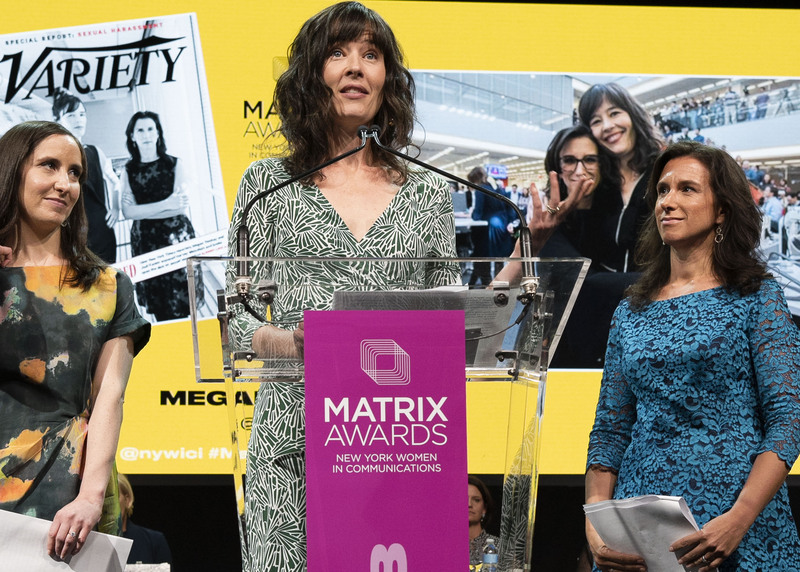 At the 2018 New York Women in Communications (NYWICI) Matrix Awards on April 23, the inaugural Matrix Incite Award was given to Emily Steel, Jodi Kantor and Megan Twohey of The New York Times for their ability to incite change through writing and reporting for their coverage on sexual misconduct in the workplace. Steel broke former Fox News host Bill O’Reilly’s sexual harassment story, while Kantor and Twohey exposed movie producer Harvey Weinstein’s long-time, egregious alleged abuses. Read the full award recap here. Join New York Women in Communications at the 2019 Matrix Awards on Monday, May 6 at the Sheraton New York!